Our family friends – Hussain and Fatima, invited me to attend their son Cadet Yaseen’s Graduation Parade at the Cadet Training Centre (CTC) Blackdown, Ontario on August 14, 2015. CTC conducted a training camp for six weeks to train Cadet Instructors in Drill & Ceremonial, Survival Techniques, Adventure & Expedition, Fitness & Sports, Military Band and Pipes & Drums. Cadet Yaseen was attending the Drill & Ceremonial Instructor Course. The Graduation Parade marked culmination of their training. On August 14, by 3 PM, I picked up Hussain from their home and drove towards the CTC. Fatima could not attend as she was indisposed. The CTC Blackdown is co-located with the Canadian Forces Base Borden (CFB Borden) and is about 100 kilometres North of Toronto, in the heart of Simcoe County, one of the major tourist areas in Ontario. The drive through the picturesque country side was breathtaking. Being a summer Friday evening, the traffic was heavy on the highways with vehicles towing boats and camper-trailers and cycles, heading to the cottage country to spend the weekend. 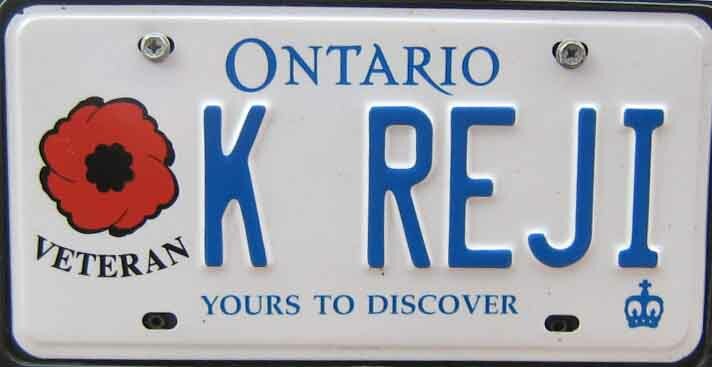 On reaching the CTC, the Military Police points-woman on duty directed my car to the parking lot adjacent to the parade ground as the vehicle had the Veteran’s plate. That was the first time I ever got a preferential treatment after receiving the Veteran’s plate. The ceremonial parade was in keeping with any British Army parades, being followed by the armies of all the Commonwealth countries. The Reviewing Officer of the day was Lieutenant General Chris Whitecross OMM, CD, a Three-Star General. 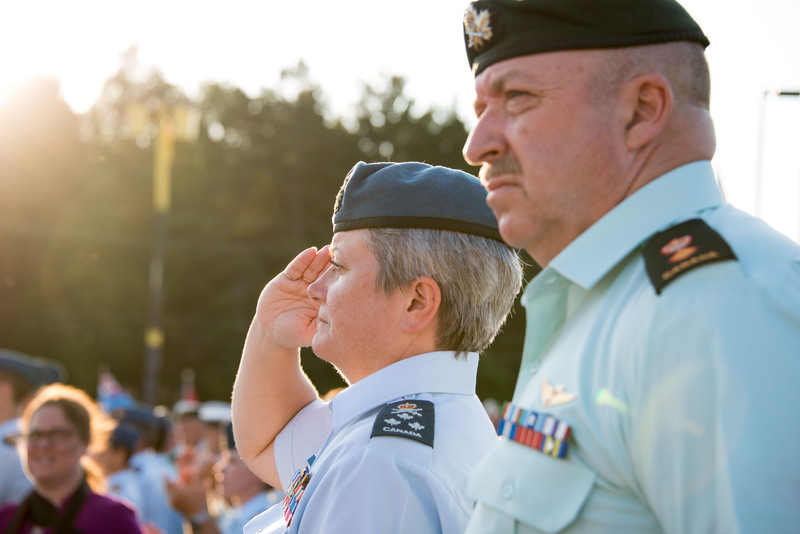 She is the first lady officer to hold the rank of a Lieutenant General in the Canadian Forces. Lieutenant-General Chris Whitecross enrolled in the Canadian Forces in 1982, joining the Canadian Military Engineers after spending 4 years in the Cadet program. Her postings have taken her from Germany to Afghanistan and almost every province in Canada. She had served with United Nations Protection Force in the Former Republic of Yugoslavia and Commanded 1 Construction Engineering Unit. Lieutenant-General Whitecross has a Bachelors Degree in Chemical Engineering from Queen’s University and a Masters Degree in Defence Studies from the Royal Military College. She is a graduate of both the Command and Staff College and the Advanced Military Studies Course, both conducted at the Canadian Forces College. She is a recipient of the Order of Military Merit and was awarded the US Defense Meritorious Service Medal for her service at Kabul, Afghanistan. Currently, she is the Commander of the Canadian Forces Strategic Response Team on Sexual Misconduct. She was promoted to her current rank on 26 May, 2015. The graduating cadets smartly marched into the drill square in 14 Squadrons and after the General Officer received the customary General Salute, the reviewing of the parade took place. There were 14 officers and veterans, mostly Lieutenant Colonels, who reviewed each of the squadrons. This allowed opportunity for the reviewing officers to speak with each of the graduating cadets. The Cadets were well turned out and looked very smart. Boys and girls, Army, Navy and Air Force Cadets formed the Squadrons based on the type of course they underwent at the CTC. 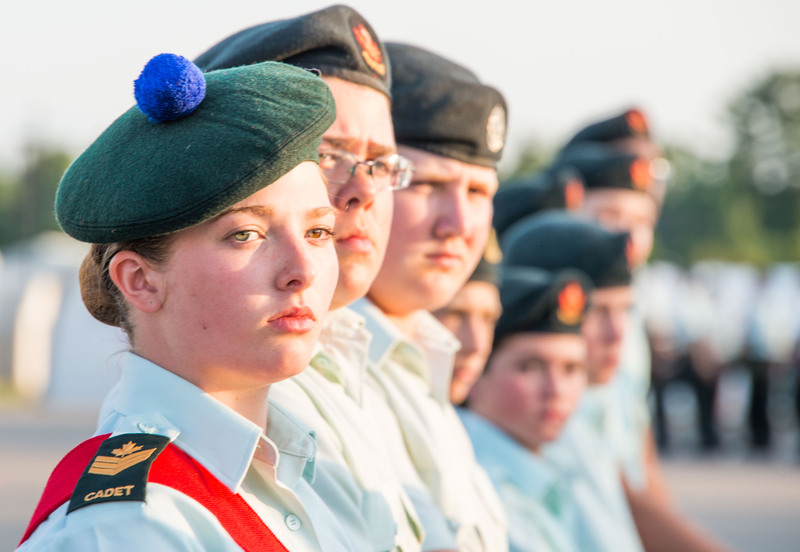 The Army cadets wore the berets of the Regiments to which their school’s Cadet Company was affiliated to. 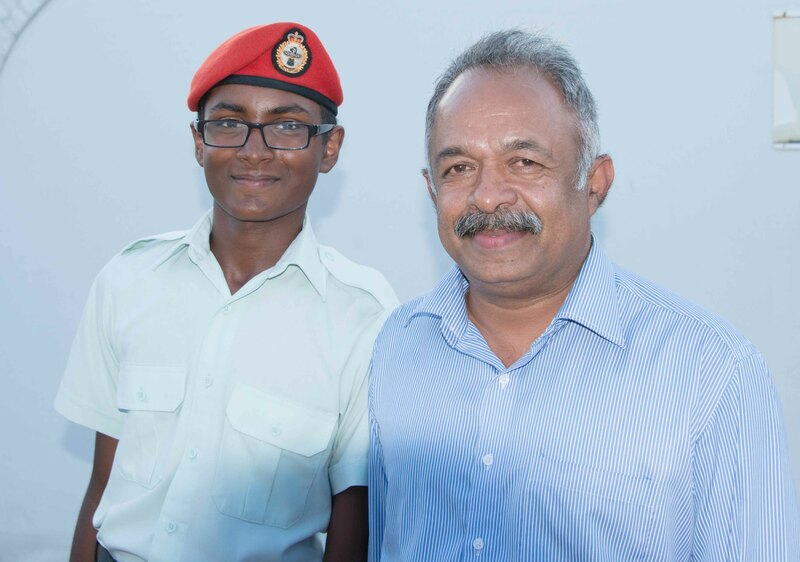 Cadet Yaseen wore the Red Beret with the Military Police Cap-Badge. Some cadets were wearing Regimental Kilts, Stockings, Belts, etc. This practise of wearing the Regimental accoutrements by the cadets will surely go a long way in inducing pride in the cadets. The General Officer reviewed the Band Squadron and at the end of the review addressed all the Cadets of the Band and appreciated them for an excellent show. She reminisced the days she was a cadet in her teens, playing in the very same band and as to how the training she received at the very same place had stood in great stead with her till today. This gesture from the General Officer would have surely enthused the cadets of the Band Squadron. The review, which took about 30 minutes was followed by the Reviewing Officer’s address. 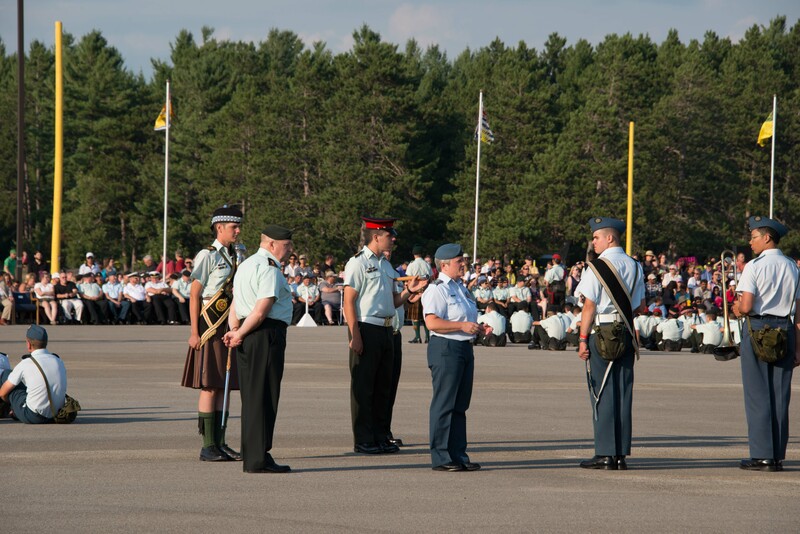 The General Officer was so roused by the spirit of the cadets that she spoke from the saluting base, without moving to the pre-designated rostrum. She opened her speech with the line that she was not going to follow the script that she had prepared and which was duly placed on the rostrum by her Staff Officer, but would speak from her heart. The speech was electrifying and inspirational – in its content and in delivery. She complimented the cadets for the successful completion of their training and exhorted them to carry what they learnt to their Cadet Companies back at school and impart the skills to other cadets there. The squadrons then marched past the saluting base, saluting the General Officer and each squadron was applauded by the audience with a standing ovation. On culmination of the Parade, Cadet Yaseen left to collect his Course Certificate, Movement Order and his belongings and Hussain and I met Lieutenant Colonel O’Leary from the Artillery Regiment (Gunner) of the Canadian Army. This marked the meeting of two Gunners from two different countries and we exchanged pleasantaries and notes about the life in both armies. A Gunner will always reamin a true Gunner in deed and in spirit, irrespective of the army they served was proved once again. We bid goodbye to Colonel O’Leary, picked up Cadet Yaseen and drove home. Enroute I treated Cadet Yaseen to a sumptous dinner in appreciation of him graduating from a tough course and also for providing me an opportunity to attend such an august function (in August). We all enjoyed the dinner, especially Cadet Yaseen, as it was surely a welcome change from the usual camp food. You proved once again that all those who regret for not being some where worth while , need just pray that God will send you there……and then wait for your blog!! Thanks a lot for the vivid and detailed recollection. I can’t stop wondering….a 3 star gen to have over sight of strategic force for (against) SEXUAL misconduct??.. Does that in way betray the current state of women officers of Canadian forces in arms? 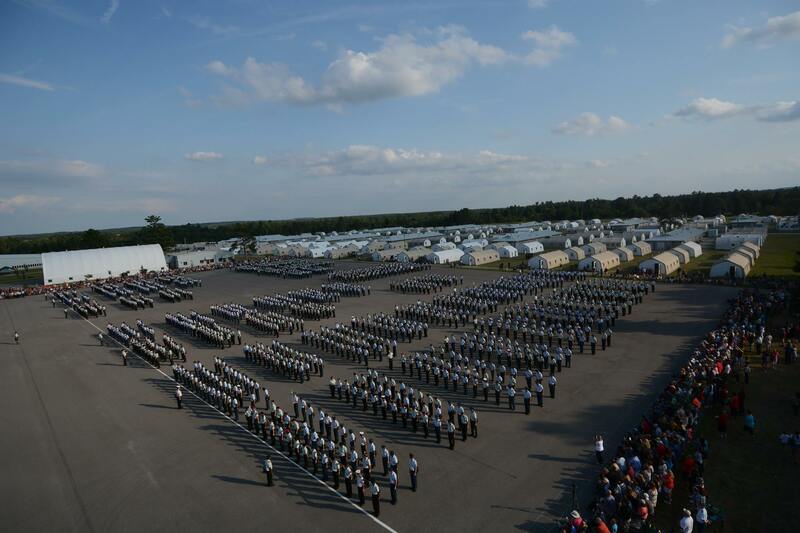 A query….does all these cadets automatically enroll as officers in their military or it just a pursuit of passion? Please convey my congratulations and best wishes to the boy and the proud parents. 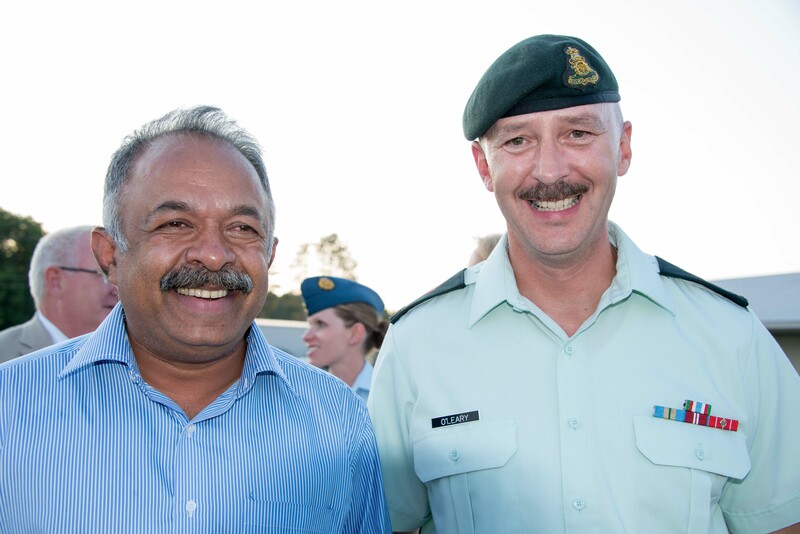 The ‘Cadets’ in Canada is akin to the National Cadet Corps (NCC) in India. They do not join the Defence Forces automatically. Recruitment system for officers and soldiers follow the similar pattern as that of India. However, any achievement by the Cadet and merely being a Cadet during High School will surely look good on their resume for university admission and also for any job. I’m a beneficiary of NCC in India. I had the privilege of being attached to 7th Madras and Punjab regiments with no less training undertaken by a soldier. Attended Officers Training in Kamptee and a Republic Day Parade in Delhi. Finished my basic and advanced courses in mountaineering, thanks to the National Cadet Corps. I dedicate all my good to the NCC that brought the real ME out of an introvert! We’re proud of you, Yaseen, Hussain & Mubeen! I was literally on goosebumps towards the end of the write-up where Reji mentioned about the treat he offered to Yaseen as a token of appreciation. That’s indeed like a gentleman and very very becoming on an ex-officer, Reji. Inimitable write up! Best wishes to yaseen and the people around. Very informative and well written article sir. Your meeting up with Royal Canadian Gunner must have been real interesting. I guess all gunners across the globe are similar in their traits and habits. Yes Colonel Nayar – all Gunners across the globe demonstrates same qualities. That was evident ffrom the discussion we had – ranging from 25 Pounder Gun of World War II to the Bofors 155mm Guns of Kargil fame.